Your students will have fun learning to code with vehicles, robots and more! 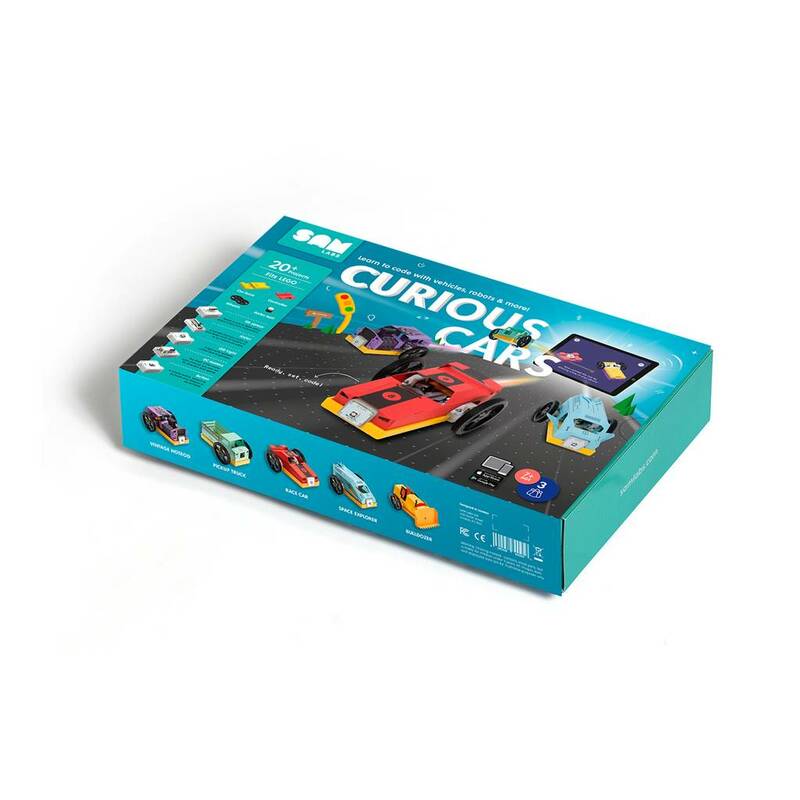 Download the Curious Cars app to program creations and play games in the SAM Arcade. SAM Labs provides everything you need to deliver the most engaging STEAM learning experience to your classroom. It seamlessly connects software and hardware with lesson plans that cover a wide variety of subjects, making learning about coding accessible, experimental, interactive and fun. 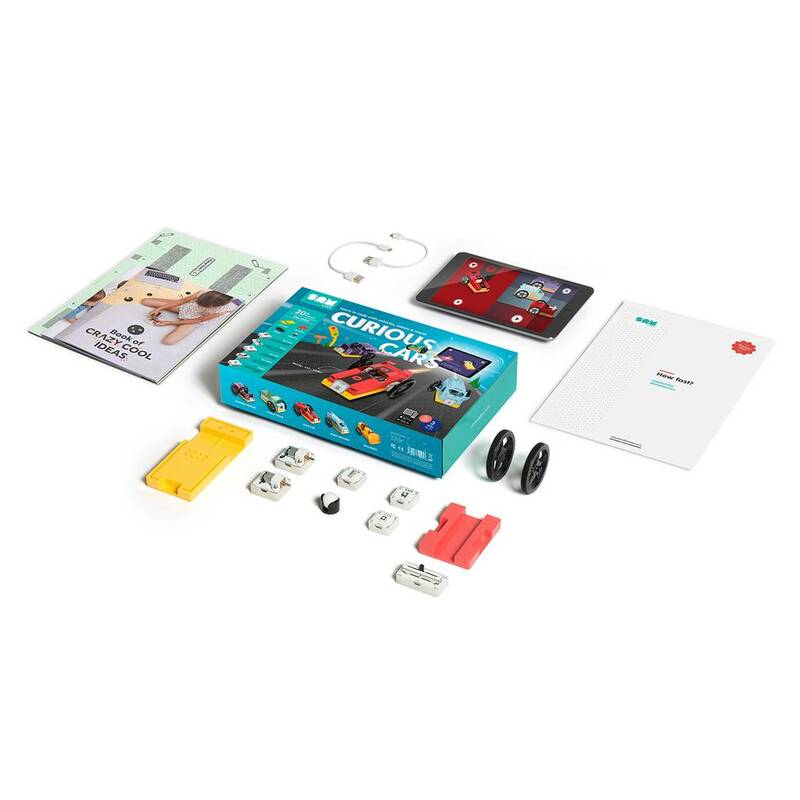 SAM Labs kits are bursting with wireless electronic blocks that each have a personality of their own. From lights to motors to sliders to buzzers, every Bluetooth-enabled block can connect to the others via the app to do something different. Press a button to turn a light on! Use a light sensor to activate an alarm! With the app, students can code the behaviours of blocks in any way they can imagine, enabling them to make anything from simple reactions to complex creations in minutes. SAM Labs helps both teachers and students discover coding in an accessible, fun and interactive way. The lesson plans and guides created for teachers, by teachers, make integrating SAM Labs into your classroom quick and easy. SAM Labs is aligned with international education standards to ensure projects and lesson plans can be used across the curriculum to benefit all teachers and all students. Built for the classroom, each wireless Bluetooth SAM block connects effortlessly and can be easily recharged. Each block is an input or an output, such as a motor, a light or a light sensor. Use the SAM Space app to connect the blocks together. For example, if you connect the light sensor and a motor, the motor will run faster as you shine more light on the sensor. SAM Space allows for blocks to be visualised and coded together in a simple and intuitive way. Visual, flow-based drag-and-drop coding allows students to take a their physical SAM Blocks, drop them into a virtual canvas and connect them together to create projects. SAM Space can also be used by students at home even if they don’t have any physical blocks. 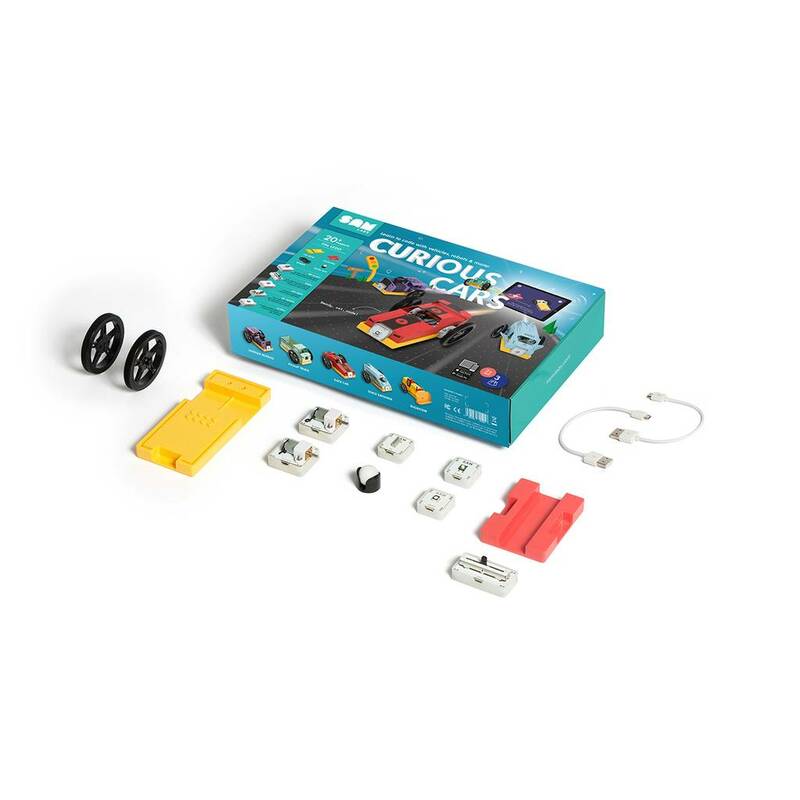 Curious Cars is a bespoke code-to-game app that is a great way of getting your students to learn through play.